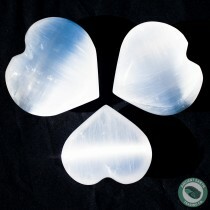 Selenite Massage Palm Worry Stones - Ancient Earth Trading Co.
Palm Stones are known for their many names, also known as Massage Stone, Worry Stones, Pocket Stones, or Touch Stones, their uses are the same, be it from meditation or to a simple "Fiddle Stone". 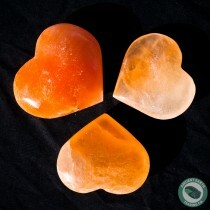 Our massage/worry stones and wands use the insulating properties of the stone and are warm to the touch. 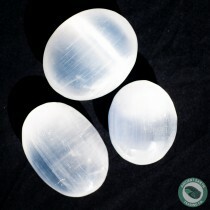 Our Selenite products are all selected from the highest quality Selenite Rough available for clarity and luminance. 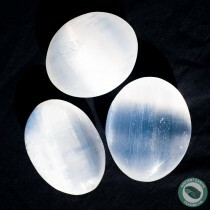 All of our Selenite products are handmade by artisan workers in Morocco.